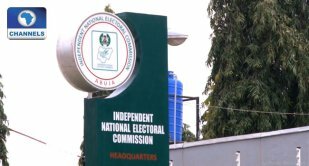 The Independent National Electoral Commission (INEC) has fixed November 10 for the bye-election of the Ikom (2) constituency seat in the Cross-River State House of Assembly, following the death of the lawmaker representing the constituency. The Resident Electoral Commissioner in the state, Dr. Frankland Briyai, disclosed this on Thursday at a meeting of stakeholders drawn from all political parties, at the INEC office in Calabar, the state capital. He assured the different parties of a smooth, free and fair exercise. According to him, the election would allow a level playing field for all parties and their candidates. Briyai also used the opportunity to warn parties and their agents against vote buying.